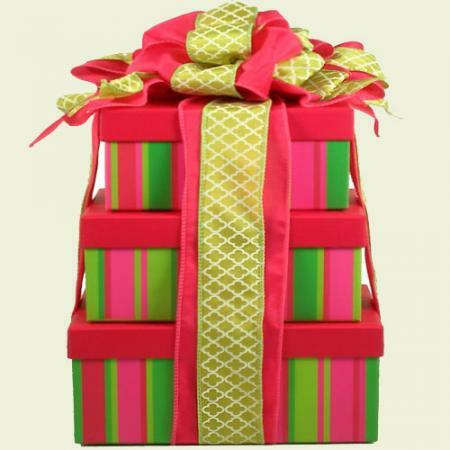 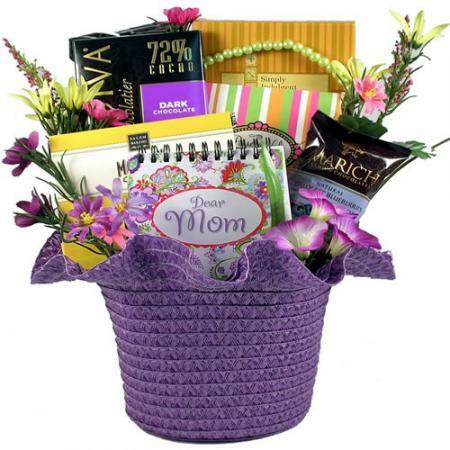 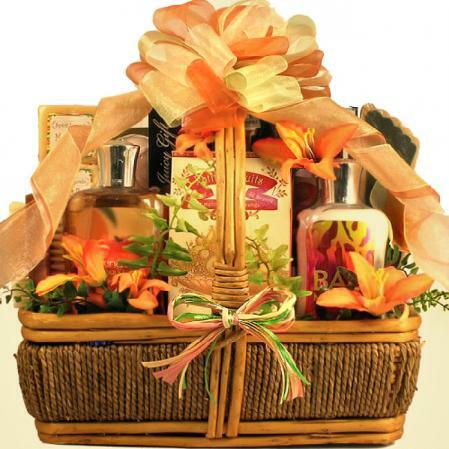 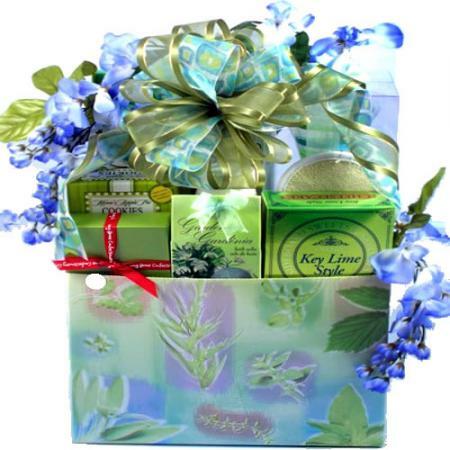 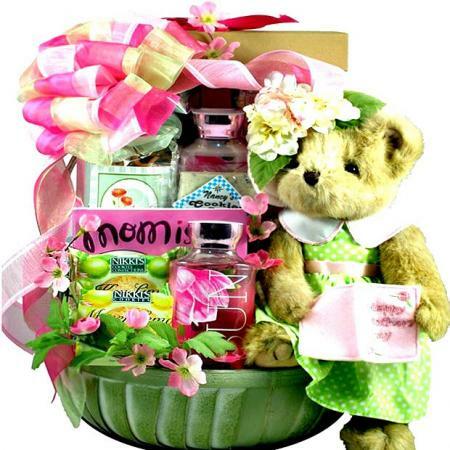 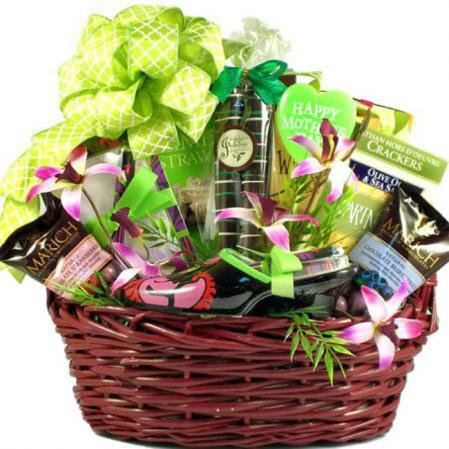 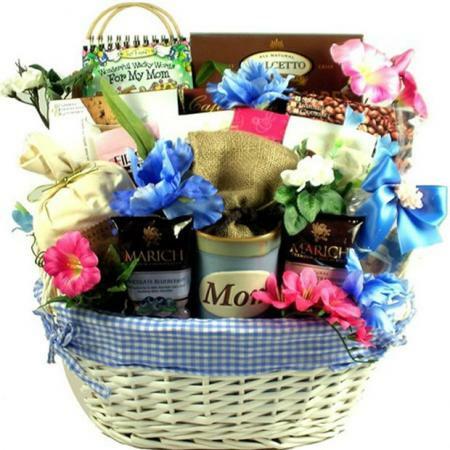 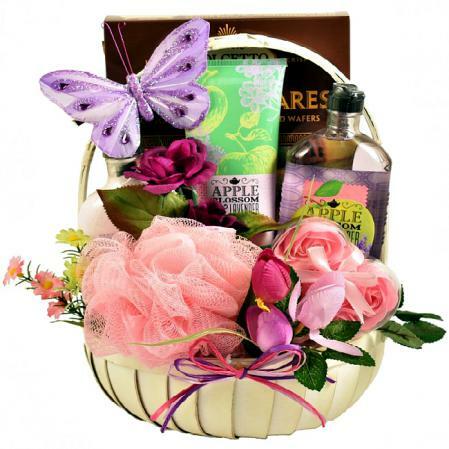 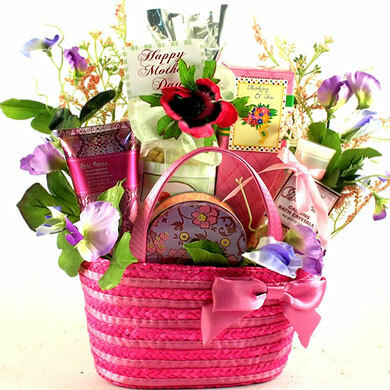 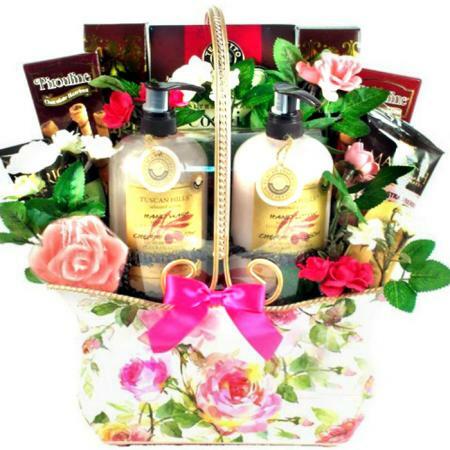 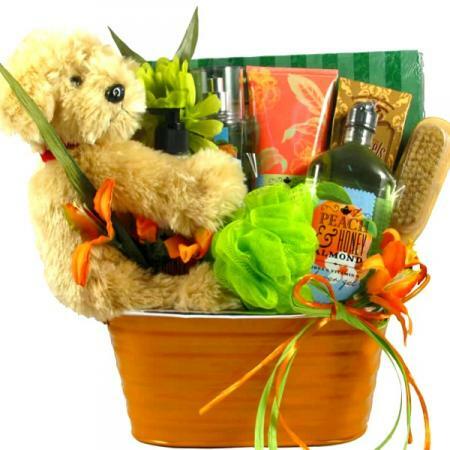 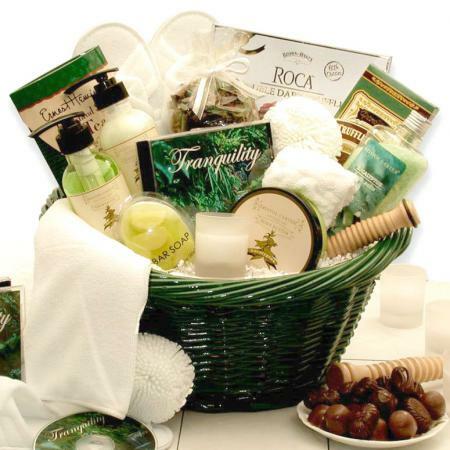 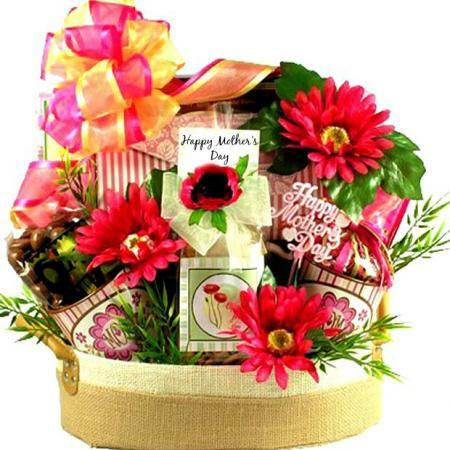 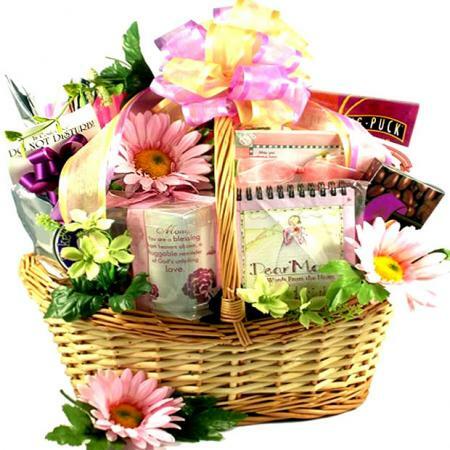 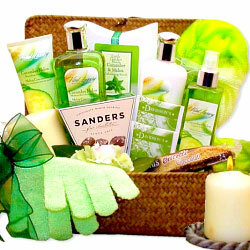 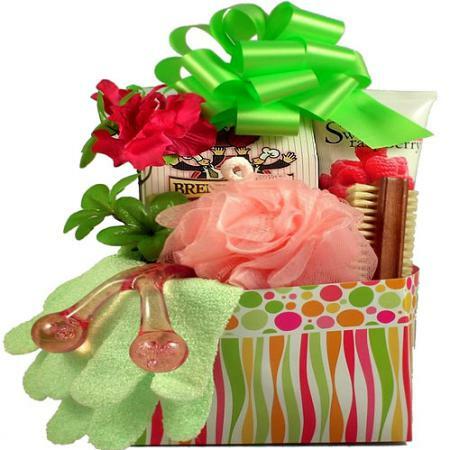 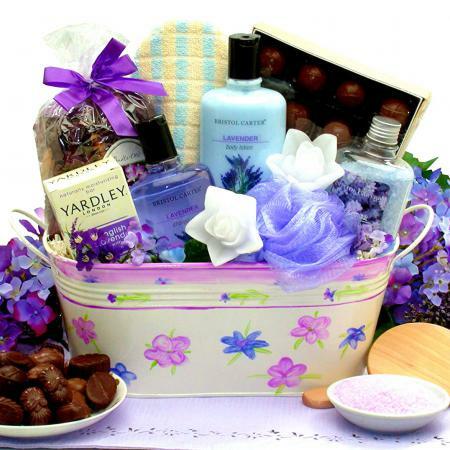 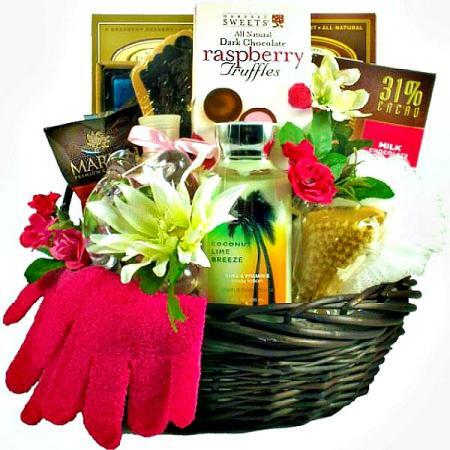 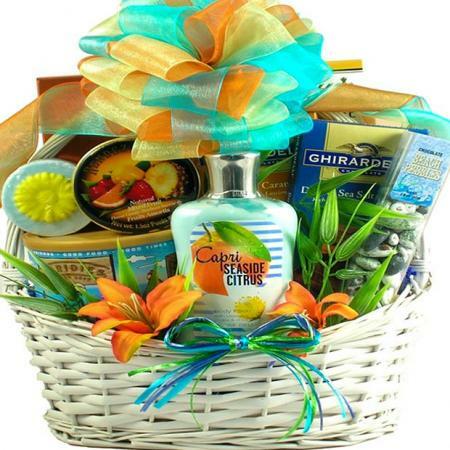 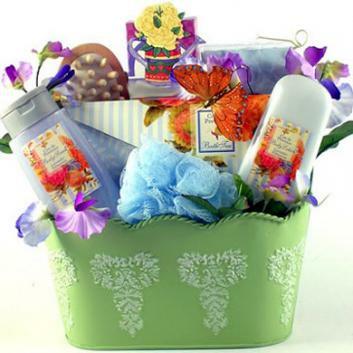 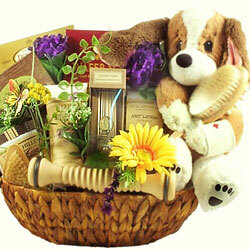 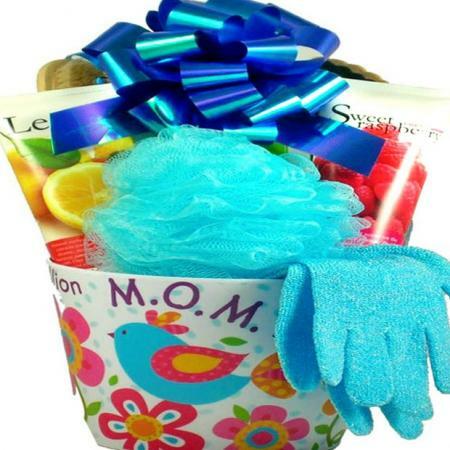 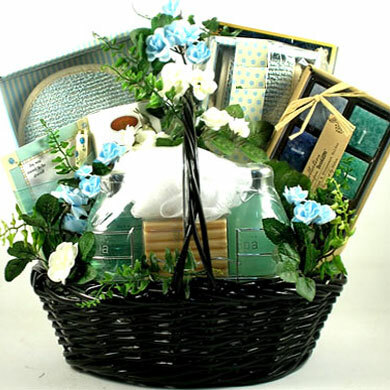 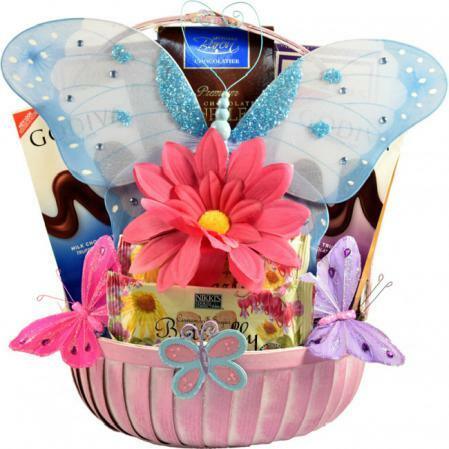 Imagine Mom's face when she opens this stunning Mother's Day gift basket filled with heartwarming gifts. 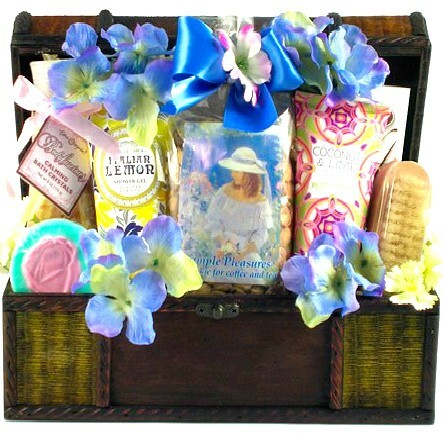 She will enjoy every bit of it! 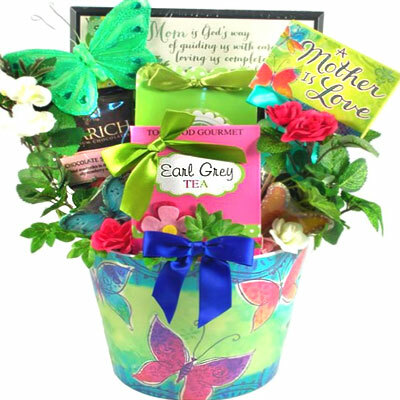 An absolutely stunning gift for mom! 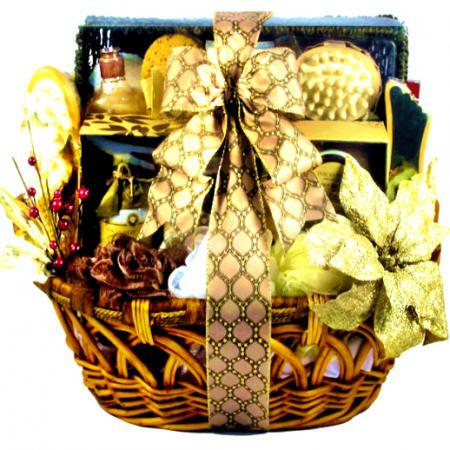 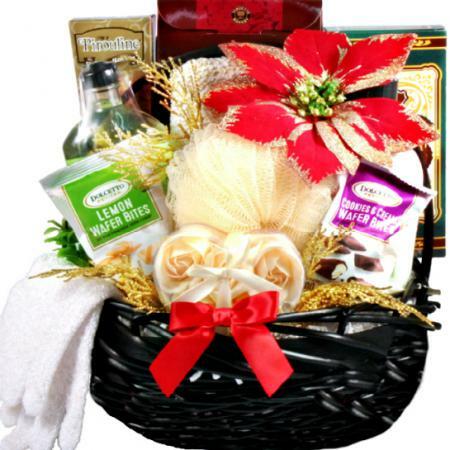 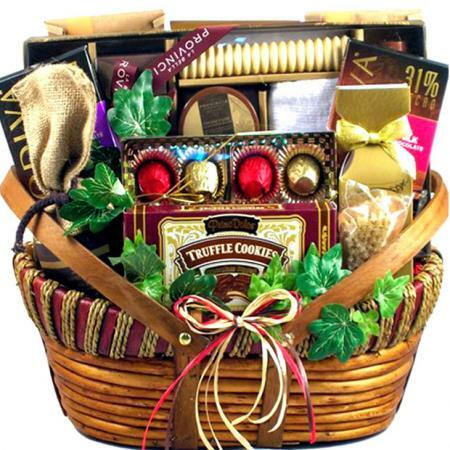 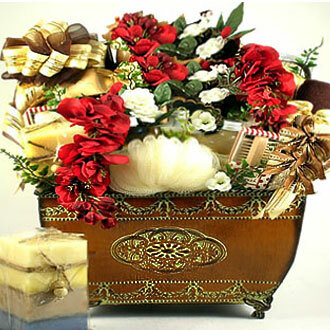 That ís what she will think when she receives this big, beautiful gift basket, trimmed with elegant silk flowers and designer ribbon, filled with a huge assortment of touching gifts and tasty treats just for her. 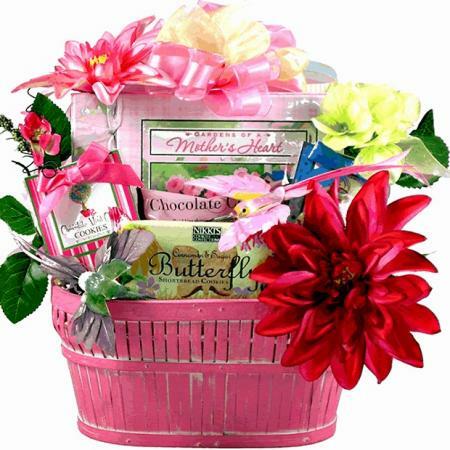 Ceramic gift boxed mug with the inscription "Mom, You are a blessing from heaven above, a huggable reminder of God's unfailing love". 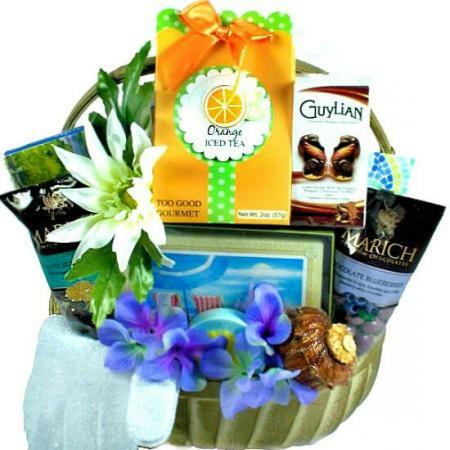 Stationary and pen set with the words, "May you always have a shell in your pocket and sand in your shoes"